"One of the most heart warming stories I have of 3:11 ministries (among many) is the time that I called during the Christmas Holidays after finding out that one of our student's families was in desperate need. The student's family had recently had to move into a one bedroom studio apartment. Due to lack of space, our student was sleeping on the floor of the kitchenette. I had already referred the family for 3:11's Christmas help but mentioned the sleeping situation to the team. Miss Stephanie was touched by the story and told me that she was going to do her best to find him a fold away bed that he could set up each night so that he wouldn't have to sleep on the floor. 3:11 Ministries came through and found a comfortable fold away bed which was given to mom. Mom was extremely appreciative and with tears in her eyes let me know that she could never repay the kindness shown to her and her family by 3:11 Ministries during these hard times in their life. 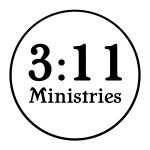 3:11 Ministries is a blessing and I am so glad that they have a huge heart for the students and families in our community."